No-one living in Belfast can fail to recognise that the city is built around the river. The city is built on the river and even in the river. The vast majority of the city centre is built on about 50 metres deep of mud flat sludge over the sandstone bedrock. Like all old major cities it grew up around the river and the river has been its lifeblood and so Belfast Lough is the approach to the city that many a visitor, immigrant, emigrant has seen. 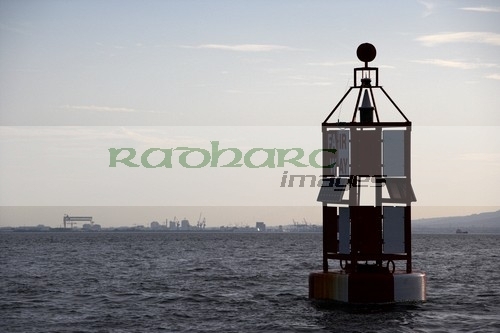 Perhaps its most famous product the Titanic was born on the river and there are markers still to this day in the Lough used to judge its speed. 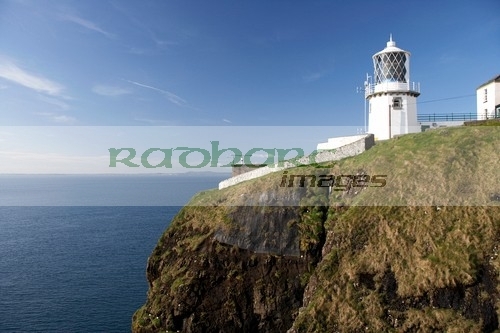 In my lifetime Ive never been low down for any length of time in the lough, the ferries to Liverpool, Scotland and the Isle of Man usually have great height and so you have a distinct birds eye view of what is going on. Similarly for the approaches to the harbour airport, its all below you. 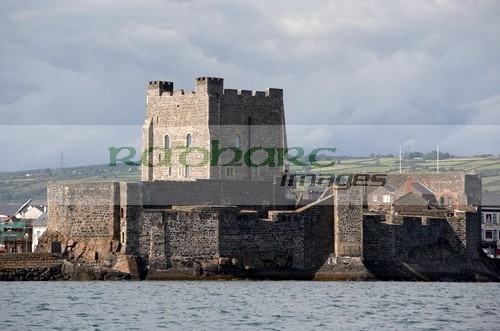 Mooring my boat in Carrickfergus and doing some initial exploration of the lough from the water has given a different view of the approaches and with a little imagination gives an idea of what it was like for early settlers and invaders arriving, both early and late. 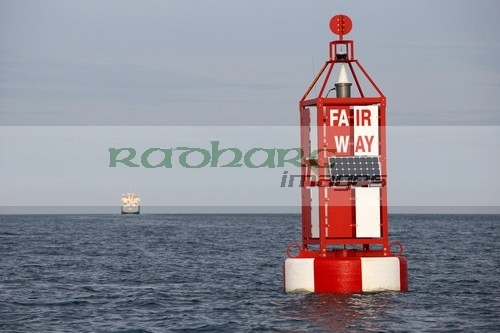 The limit of The Port of Belfast is the fairway channel marker buoy. Beyond this point you are under the control of Belfast Harbour and navigation is controlled and not a place for me to wander at random. Entrance to the Harbour itself is tightly controlled and photography restricted so no view there folks. 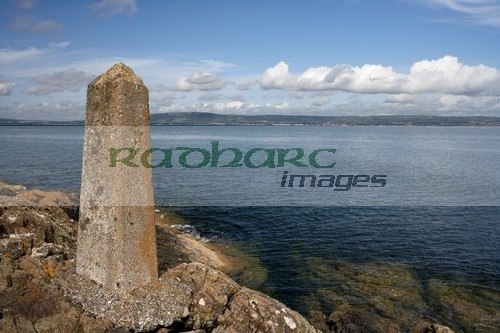 The marker buoy sits on an imaginary line between Grey Point and Carrickfergus Castle, two historic locations which guard the entrance to the approaches to Belfast. 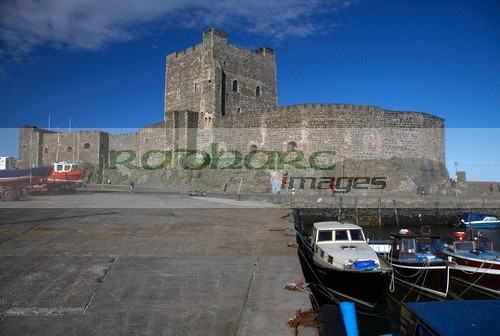 Many people know Carrickfergus Castle, built by the Norman John De Courcy in 1177 it has dominated the entrance to Belfast for over 800 years. It has been attached, besieged by many nations and used as a military outpost right up to World War Two. Normally visitors have a view like this, the view of the castle from the harbour..
Coming up the lough in small boats, when the mist clears the cannonballs start raining down on you, getting to the harbour area is some achievement. Leaving the outer harbour walls aside and the buildings behind, this view has changed little in that 800 years. 700 odd years ago as you rowed up the lough, armour at the ready then this looms out of the mist you have to wonder who’s bright idea was this? Probably not one of the people doing the rowing around you. At the opposite side of the lough is Grey Point and this has a more modern defensive outpost in Grey Point Fort. 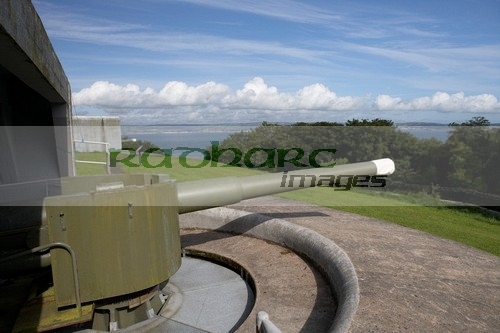 The fort was built between 1904 and 1907 and housed naval guns for naval defence of the lough. The original searchlight positions are still on the shoreline and even the white markings are still visible on the rocks of nearby shorelines which gave distance markings to the gunners. The current guns are a recent installment, bought from a similar battery in Cork after the grey point guns were sold for scrap in the 50s. It doesnt say anywhere in the history if this sale involved a metal merchant transaction or they were loaded onto the back of a big lorry. Grey Point Fort never saw any true action during either war, well not strictly true, shortly after war was declared the over eager gunners fired a shot across the bows of a merchant ship who was yet unaware that war had been declared. Hmmm. Just up from Carrickfergus Castle is Kilroot Power station which is a giant of a building on its own. 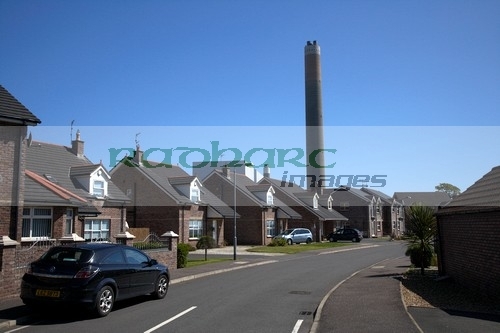 It can supply up to a third of the electricity in Northern Ireland. 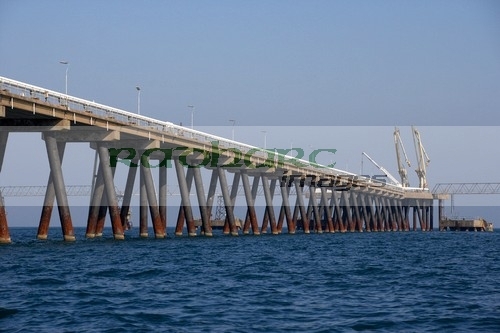 Its a dual coal and oil fired power station, both of which are supplied from deep water berths in the sea. The coal loading area is close to the station and the Cloghan Point oil jetty is over a kilometre long about 3km up the coast. Its a massive impressive structure, particularly when up close in a small boat. Although the fishing near it isnt bad at all! 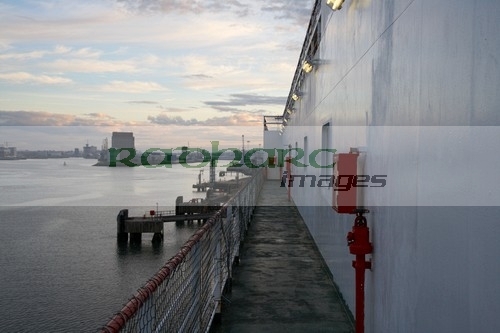 Between the coal and oil terminals theres another small nondescript insignificant jetty. It belongs to the equally blandly named Irish Salt Mining and Exploration company. Deep below the surface is a massive salt mine which taps into the underground salt seam which streches under the atlantic, all the way to Russia. If you have driven on gritted snow bound roads in Ireland, England, Wales, Scotland and parts of the East coast of the USA then some or all of the salt probably came from this small jetty. During the bad conditions last winter I tried to get access to the mine to photograph it as the UK was running out of Salt and the Kilroot Mine was working 24/7 to try and supply enough to keep the roads gritted. 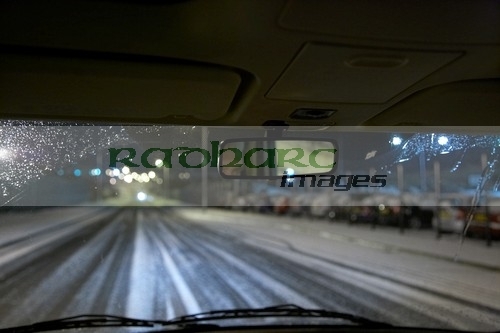 The road to the mine was just nose to tail with lorries taking the salt throughout Ireland. Now a very well known (and probably affluent) news agency had secured the rights to photos in the mine, so like the local tv stations I was stuck with taking photos of the road or looking around for old aerial stock photos. 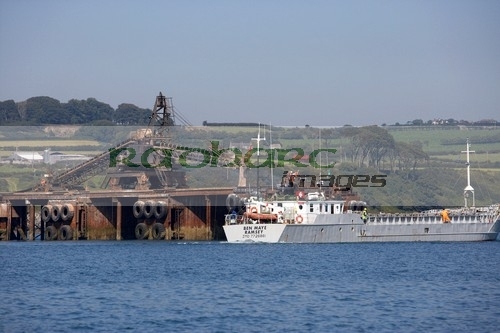 So heres the photo for next winter as viewed from the sea! 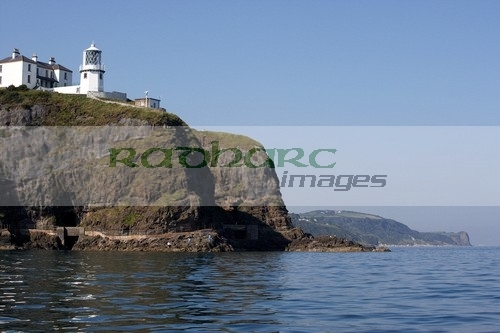 A little past the Cloghan point jetty is the town of whitehead and then the Blackhead lighthouse which is the point where the County Antrim Coastline leaves Belfast Lough and reaches the Irish Sea. As somebody scared of heights I went to the edge of the clifftop a few years ago for some photos and it looked like a long way down. From the sea the cliffs dont look half as scary, nor does the famous coastal path. Although I wouldnt like to be on either in anything more than a breeze.